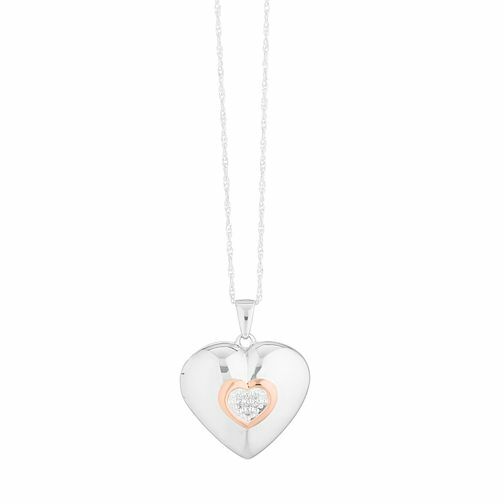 This silver heart locket is the perfect way to treasure your photographs or keepsakes. Suspended on a traditional chain, your eye is instantly drawn to the rose-gold miniature heart in the centre, while the cubic zirconia embellishment adds a unique spark. Please note this locket is sterling silver with a metal catch.